The Arizona Woodturners Association (AWA) in Phoenix, Arizona is a proud chapter of the American Association of Woodturners. 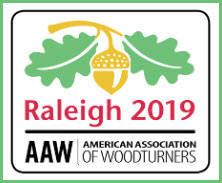 We encourage each of our members also to join the American Association of Woodturners (AAW). The information you can gather thru this national organization is second to none. AAW membership includes: 2800 online projects, articles, videos and tips; 360 online videos searchable by topic; 12,000 images of member work for inspiration and ideas; 365 affiliated chapters to search (when you are traveling, stop in at a club); back issues of magazines and publications to browse; symposiums – just to mention a few benefits! Check out AAW today!